Lawrence Hobbs makes the science of strategy accessible. The keys?Making sure that business decisions and actions are properly integrated and consistent with the corporate ambition. What happens when management systems don’t reinforce the strategy? Strategically critical departments are starved of necessary resources, cherished capital is diverted into marginal opportunities, value-eroding projects continue unchecked, critical time and money are frittered away on truly unimportant tasks and ultimately the organization can even pull itself apart. 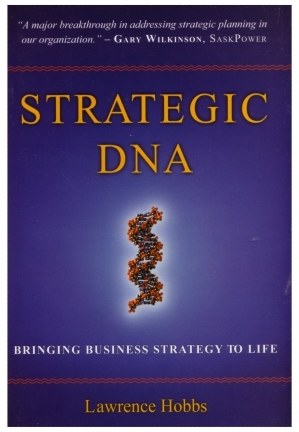 Full of insights, tips, and tricks of the trade from the global business and consulting worlds, Strategic DNA shows why the integration of the many different management practices is an essential part of success, and it also shows how to make that integration happen. The result is a strategy that works for any business, big or small. Susan J. Lea, MD, CEO, Foothills Health Consultants Ltd.